The Fellowship of Least Coin is a world-wide ecumenical movement of prayer for peace, justice and reconciliation. Through this movement Christian women around the world seek fellowship with one other and are reminded to live a reconciled and forgiving life with others. Every time women and children pray for peace, justice, healing, and reconciliation they offer the least coin. These coins are later sent to ICFLC (International Committee of Fellowship of Least Coin) which supports women's initiatives of peace around the world. This prayer movement emphasizes the praxis dimension of prayer reflected in action. This prayer movement is not confined to women only; any one can participate. 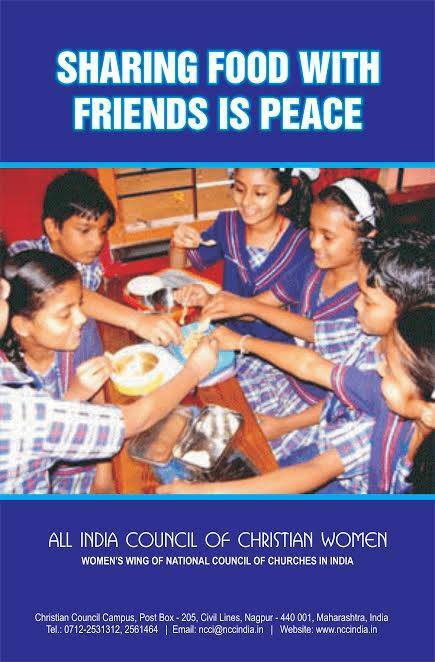 The pioneer of this Movement was Mrs Shanti Solomon, a legendary woman leader from India who also is the founding mother of All India Council of Christian Women which unites Christian women in India from Orthodox and Reformed traditions and the Asian Church women's conference that unities Asian women Church Leaders. According to Moumita Biswas- Executive Secretary of All India Council of Christian Women – “In order to carry on the legacy of this praxis oriented prayer movement FLC we need to nurture our children to be peace makers and understand the power and strength of prayer . FLC movement breaks the barrier between the rich and the poor, the vulnerable and the powerful and deconstructs the power of ‘Mammon’. FLC has its its Biblical foundation on widows mite . This movement emphasizes the power of prayer and the power of the least coin where even the most economically poor person can also contribute to bring hope, heal those in pain and broken communities and transform lives of many . 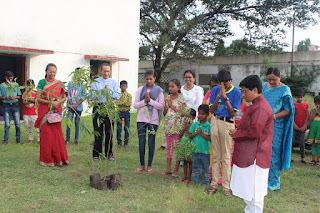 98 children from Dalit, Adivasi and other vulnerable backgrounds from 'Girls and Boys Methodist Hostel' in Nagpur and also children from Sunday Schools participated in this 'Children’s Peace Festival'. They shared their understanding of peace and heard the story of Shanti Solomon and the history of FLC. Mrs Preeti shared the story of Shanti Solomon and the power of prayer when reflected in action. Women’s Fellowship Leaders and Children were felicitated with mud pots to collect offerings to be sent to the International Committee of Fellowship of Least Coin through NCCI. The children splashed colours of peace as they drew and painted their notions of peace .The paintings are a great resource of understanding spirituality and articulating children’s theology . The paintings will also be used as advocacy materials to promote the 365 Days Zero Tolerance to Gender Based Violence Campaign of NCCI, and to promote Rights to Life and Dignity of Children in India and Child Protection Policies . An alarming concern which the children shared during this program and presentations was that they are aware of eve teasing and other forms of abuse on children . They even thought physical and corporal punishment in school is normal phenomenon. As per Government of India's commissioned survey, 65% of schoolchildren reported facing corporal punishment beatings by teachers. Lack of awareness on child protection policies and implementation of such polices make the situation worse. Parents and relatives, persons known to the child or in a position of trust and responsibility were mostly found to be the perpetrators of child abuse in the country The report further revealed that two out of every three children have been physically abused . 53% of children in India face sexual abuse. According to Rev. Saroj Timothy " Our children in this country are raised in a culture of violence and they think its a normal phenomenon . Children's Peace Festival not only provided space for children to share their understanding of peace and how they practice peace but is an eye opener for us regarding the need to create awareness about rights to life in and dignity of children and promote child protection polices .The Church can play a prophetic role in this regard. Fellowship of Least Coin Movement unites us in prayer and enables us to renew our commitment to build communities of justice and peace ."